Simply enter a 17-digit VIN above to obtain a full vehicle history report, which includes thefts, accidents, sales, titles, specifications, and more. This information is compiled by VinCheck.info from official government sources and made public as a free, informational resource. Mitsubishi has issued a recall twice to Lancer and Lancer Evolution models from 2004 through 2006 for a potential Takata airbag glitch. The company is to replace faulty Takata front passenger air bag inflators. The vehicles were initially under recall in 2015, and were replaced with identical Takata parts. Check if your vehicle is affected by this recall or currently has any other outstanding recall. 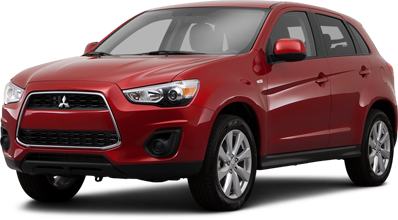 Have an authorized Mitsubishi Dealer have the recall carried out as soon as possible. Mitsubishi Motors Corporation is a Japanese multinational automotive manufacturer headquartered in Minato, Tokyo, Japan. In 2011, Mitsubishi Motors was the sixth biggest Japanese automaker and the sixteenth biggest worldwide by production. Mitsubishi is one-third (34%) owned by Nissan, and thus a part of the Renault–Nissan–Mitsubishi Alliance. It is also a part of Mitsubishi keiretsu, formerly the biggest industrial group in Japan, through the corporation’s minority 20% stake in Mitsubishi Motors, and the company was originally formed in 1970 from the automotive division of Mitsubishi Heavy Industries. The Mitsubishi logo, three triangles representing the shape of a water chestnut, was inspired by the flag design of its predecessor. The Lancer Evo became famous partly due to Jackie Chan’s use of the car in his films. The Mitsubishi hardtop sedan was sold as Galant (1988 model year) and then Sigma (1989 to 1990 model years) in the US, Eterna in Japan, and Sapporo in Europe. The Mitsubishi Eclipse was on Car and Driver’s “10 Best List” for four consecutive years since 1989. The more famous models were the Eclipse sports coupe and Eclipse Spyder. Why should I run a Mitsubishi VIN Check?